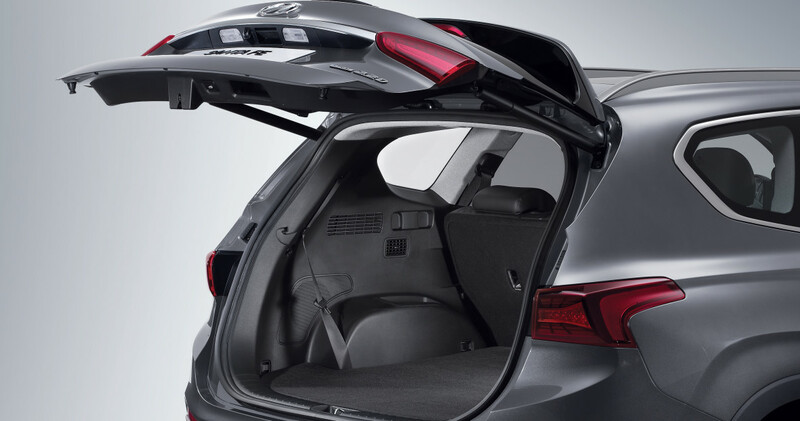 Tight parking garage? Small car wash? No problem. 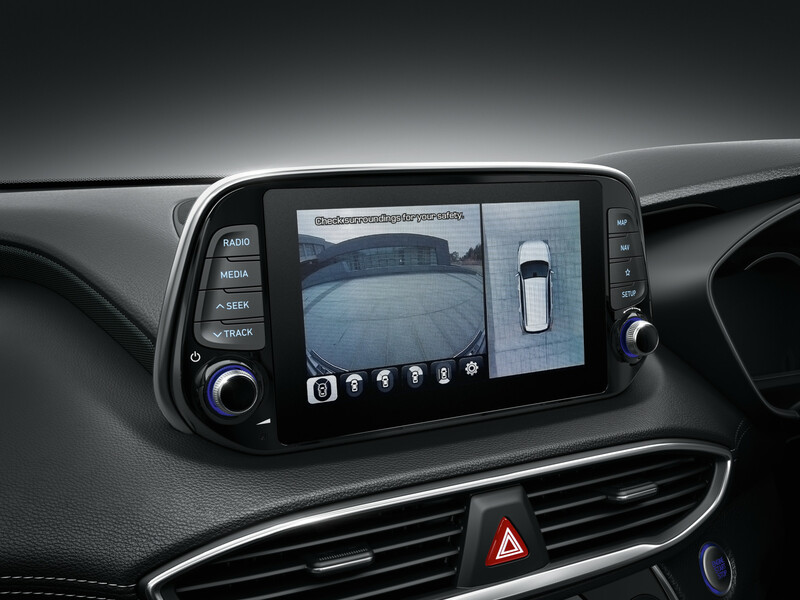 The surround view monitor in the Santa Fe Limited helps make manoeuvering in confined spaces easier and safer. 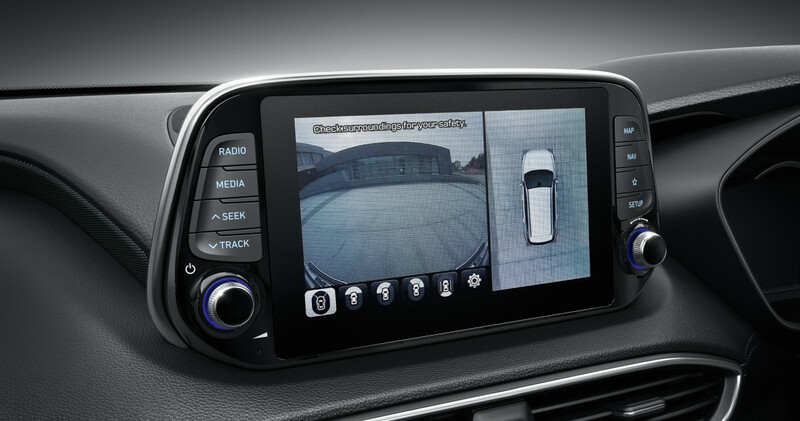 Utilizing a series of strategically located cameras this advanced safety feature gives you a 360° view of the area surrounding the vehicle so you can see exactly what you’re doing. As you like it. 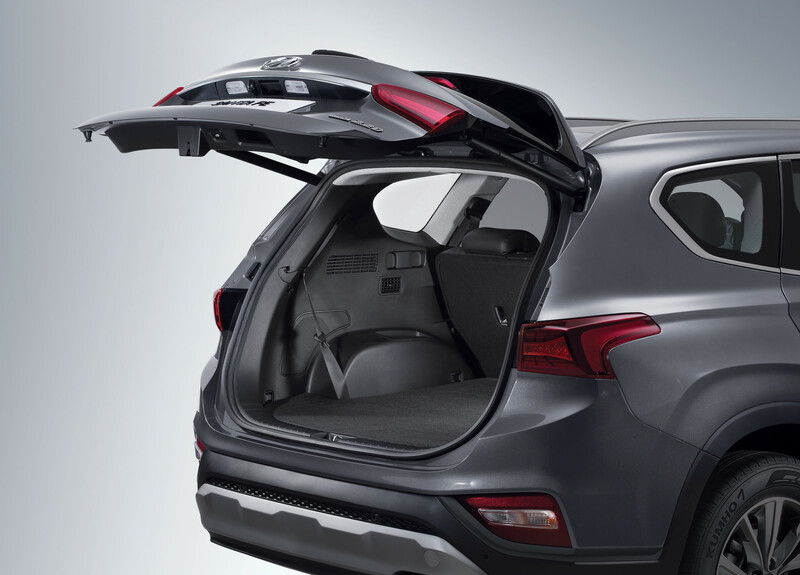 The Santa Fe Limited's power tailgate give you two different speed settings to choose from and can be operated conveniently from your smart proximity key. 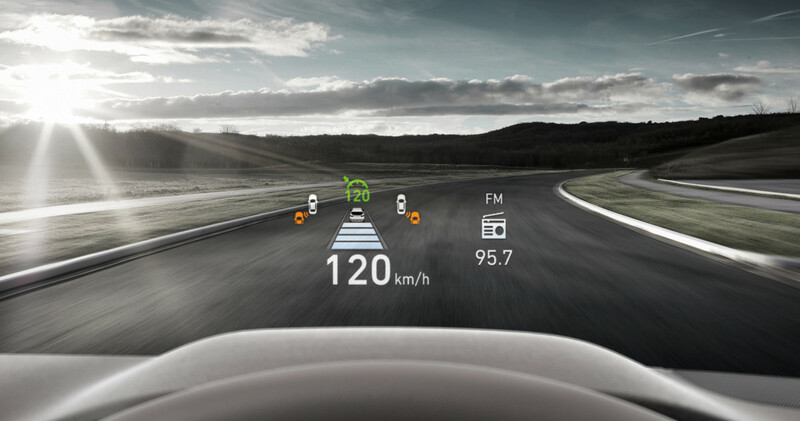 Featuring class-leading luminescence for easy visibility, the new 8.5” head-up display helps you stay safe in the Limited model by projecting important information like speed, navigation commands, and warnings directly on the windshield. 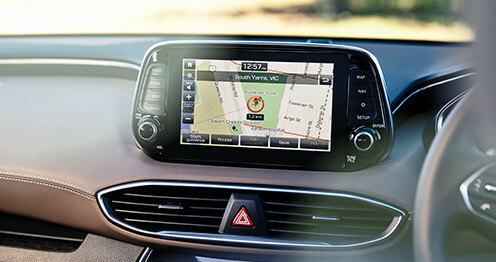 Make your journey even easier by inputting your destination into the inbuilt satellite navigation system. 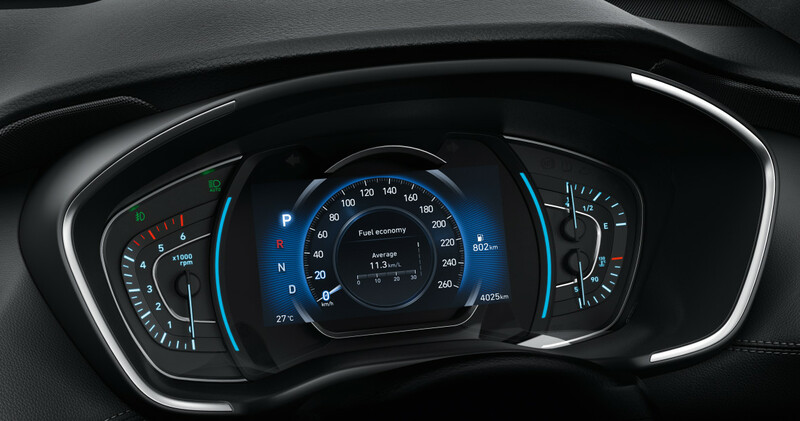 It’s loaded with HERE MAPS of New Zealand’s streets, and incorporates up-to-the minute SUNA™ GPS live traffic updates, which enable the system to divert you around any congestion (Elite & Limited models only). 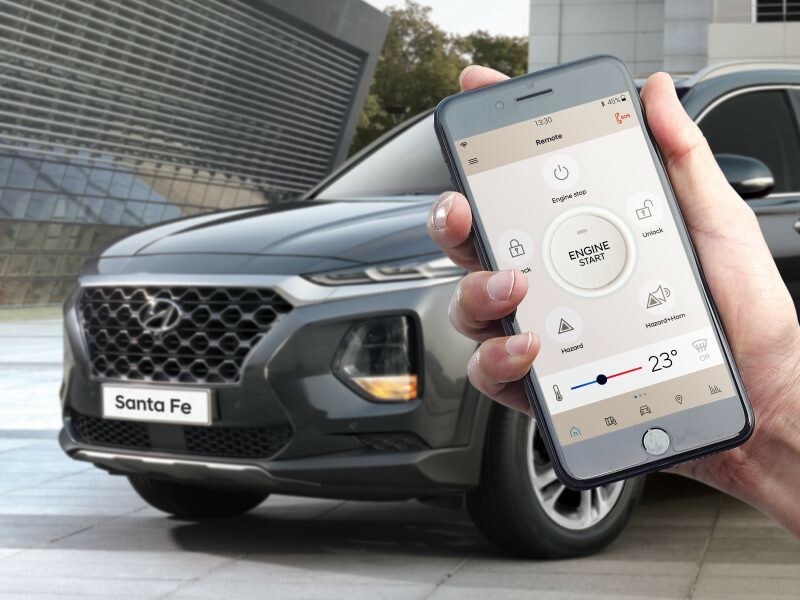 Connect your mobile device using Apple CarPlay™or Android Auto®, and via the touch screen on the dashboard, you can safely enjoy many of your mobile’s features, including using Siri, calling, texting and listening to your music (compatible smartphones only). 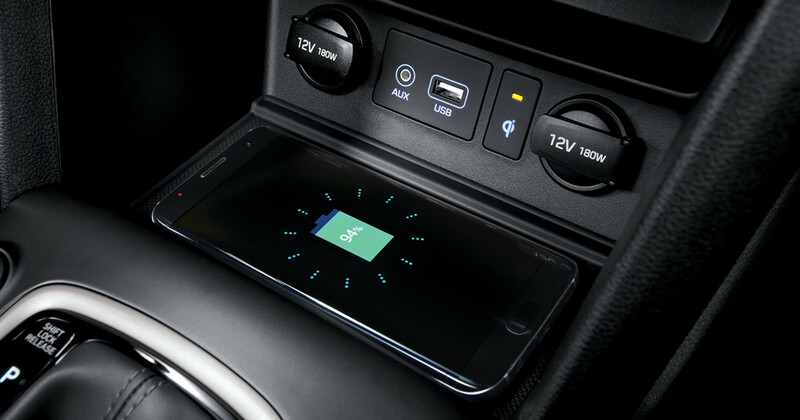 New induction technology on Elite & Limited models lets you recharge your smartphone without connecting cables (compatible phone models only), and an alert is triggered should you ever leave your phone behind. 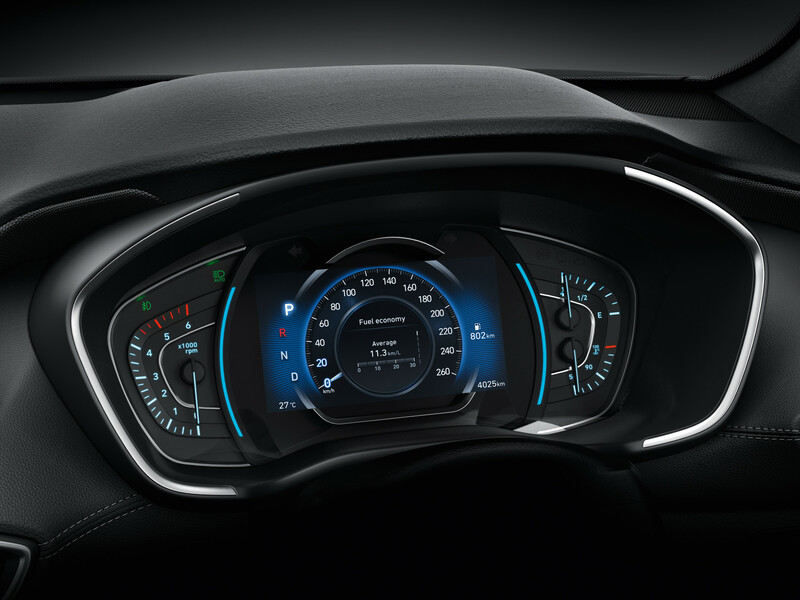 Exclusive to the Santa Fe Limited, the 7" colour supervision cluster display changes colour, depending on what drive mode you’re in (Comfort, Eco, Sport or Smart). 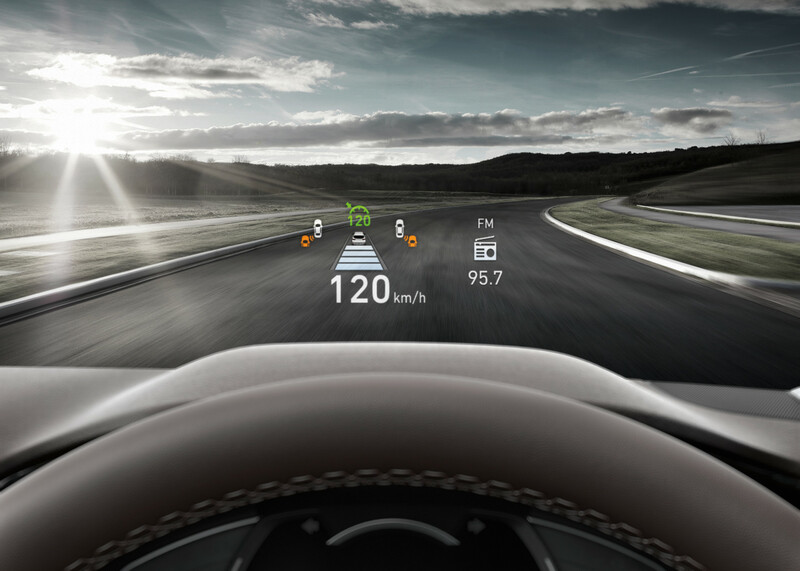 Included within the display is a full suite of driving information and a digital speed readout. 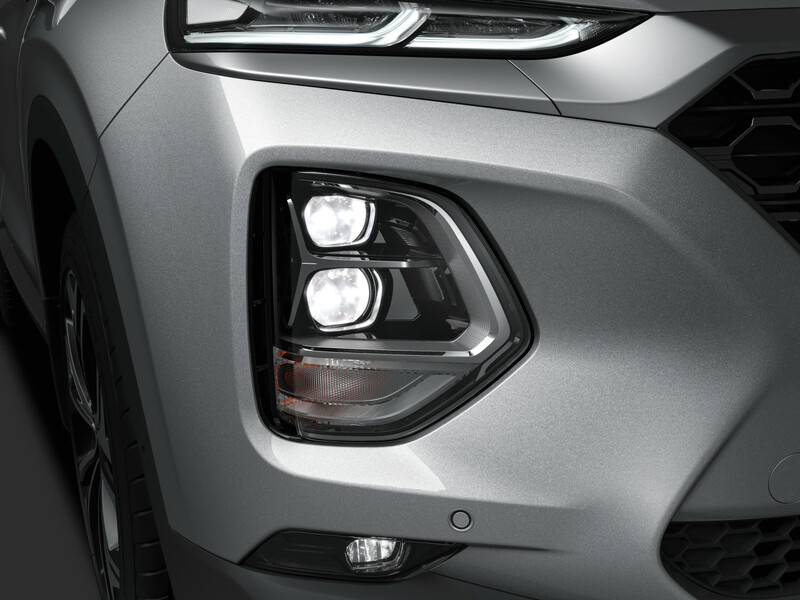 The Santa Fe Limited enjoys a clever adaptive headlight system which features headlights that follow the road based on your steering inputs. 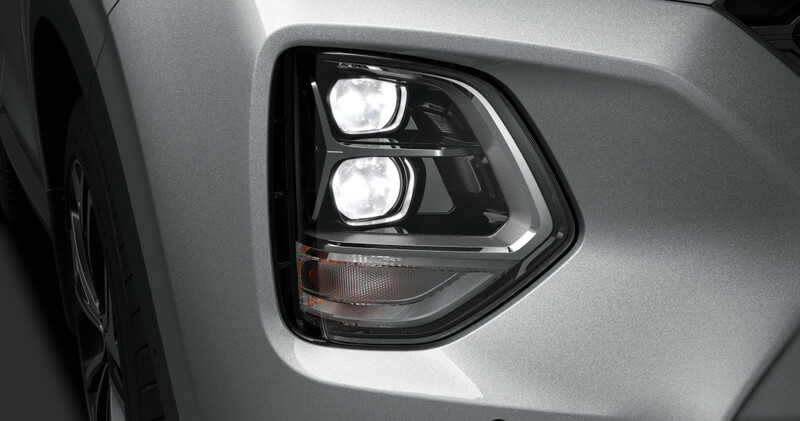 Also included is High Beam Assist (HBA) which automatically dims the headlights when approaching other road users. 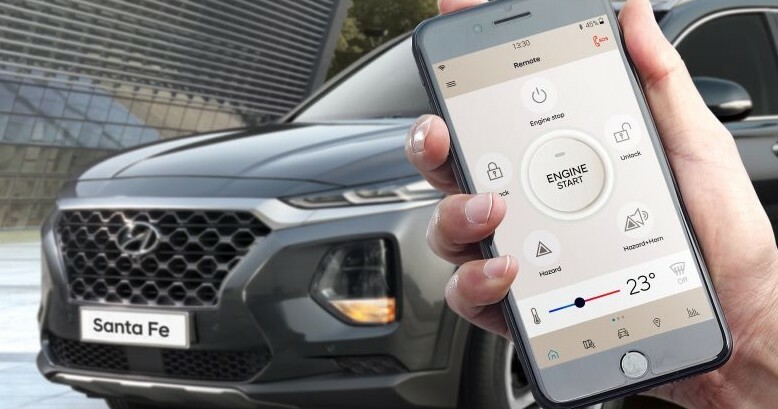 Hyundai Auto Link connects your car’s on-board computer to your mobile phone via either Bluetooth or SIM, keeping track of your car’s performance and providing analytical information so you can keep your Hyundai running smoothly.